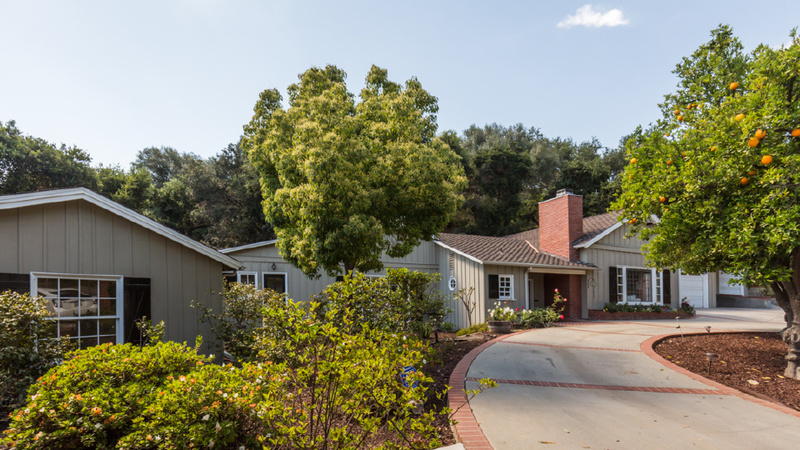 Located in the Pasadena Oak Knoll neighborhood, this four bedroom, four bathroom single story California Ranch home has been loved and cared for by the same family for over 30 years. In addition to many systems upgrades, the home features new carpeting. A welcoming entry leads into a step up formal living room with fireplace and vaulted ceiling. The living room flows into the formal dining room with wet bar. The heart of the home is the light filled kitchen with breakfast area that opens to the large family room with fireplace. Beyond the kitchen is the laundry room, two car attached garage and carport. A common hallway leads to a bedroom suite, two bedrooms that share a full bathroom and the master suite. The master suite features a fireplace, walk-in closet, vaulted ceilings, and French doors to the backyard. The sprawling lot has drought tolerant landscaping, fruit trees and vegetable garden. Offered at $1,899,000. If you are interested in seeing this property or learning about the value of your home, please call my office at (818)949-5230 or email at Janice@JaniceMcGlashan.com.